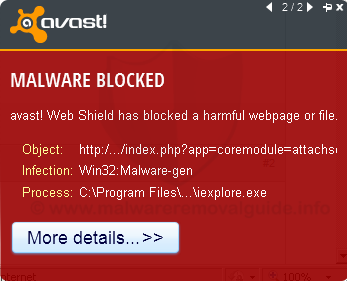 Win32 Malware-gen is a specific detection named by avast! to recognize harmful programs that aims to drop other malware files onto the compromised computer. The presence of Win32 Malware-gen on your system can trigger more damages on the computer because many malware contains a backdoor for remote access. The main intention of this Trojan Horse is to deploy a different malware that has a wide payload onto the target system. Dropped files and what it can cause to the system can be variable. Malware authors have specific (malicious) code for the Trojan Horse when and where to download the malware. However, it is noticed that variant of Win32 Malware-gen is a very dangerous kind of malware to the security of your personal credit card numbers, account passwords, or important data and other financial data. 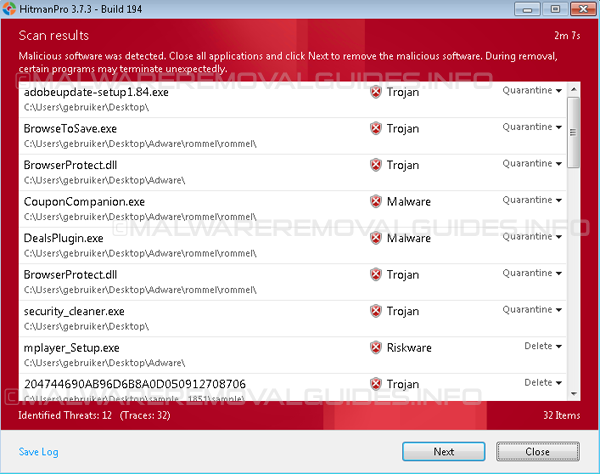 Win32 Malware-gen can also download and install additional malware threats onto the compromised computer. 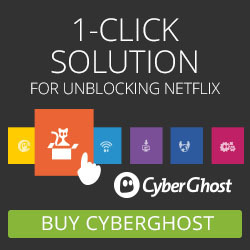 If your avast! antivirus or internet security has detected any variant of the Win32 Malware-gen allow it to quarantine the detected items, and perform a full systemscan with your avast! 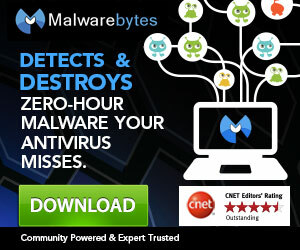 antivirus or internet security. Next follow the instructions below for a complete check of your computer.